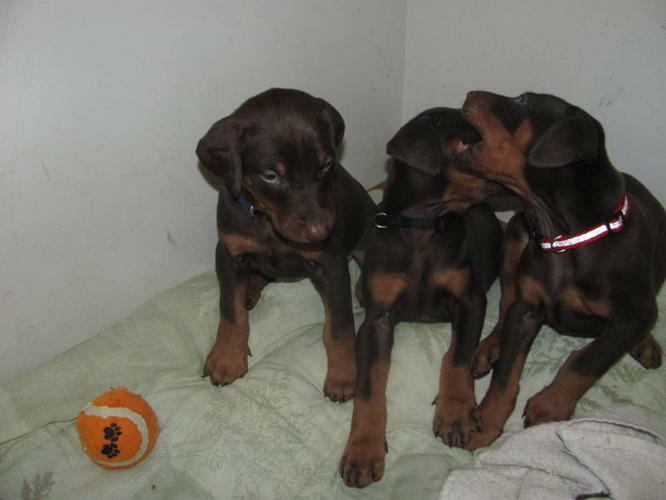 CKC limited registered Doberman puppies, red/tan, males and females available. Pups come dewormed several times, vet checked, first set of shots and micro-chipped. Sire and dam both have great temperaments and these puppies will be great family members, they are NOT guard dogs. $200 deposit required to hold puppy. Puppies will be ready to go mid January.